Looking Our Best has it on good style authority that the decade that put the nasty in Dynasty is one of the retro trends this Autumn. Tsk. It’s enough to make us feel old. 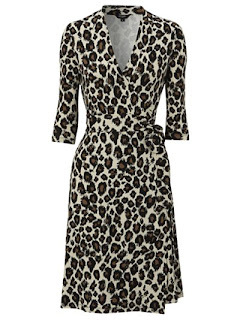 could be just the thing for stalking in while also updating a favourite LBD. (Although the hefty price tag - €255 approx will have you needing to sit down again). The Hepburn bag by Aspinall is equally gasp inducing in price but rather, er, purr-fect. Speaking of 80s fashion, and women who can still rock a leopard print jacket, LOB can’t wait to have a read of The World According to Joan. In a new book, the inimitable Joan Collins (78), has decided to reveal her style and beauty secrets to a breathless nation with all the accepted grouchiness that is one of the joys of ageing. Whatever of the big shoulder pads, our Joanie has no time for big waistbands, with the alarming warning that the overweight “are digging their graves with their own teeth." Eeow. LOB is loving the re-run of Danish thriller The Killing (Forbrydelsen) nightly on BBC4, just ahead of the new series. 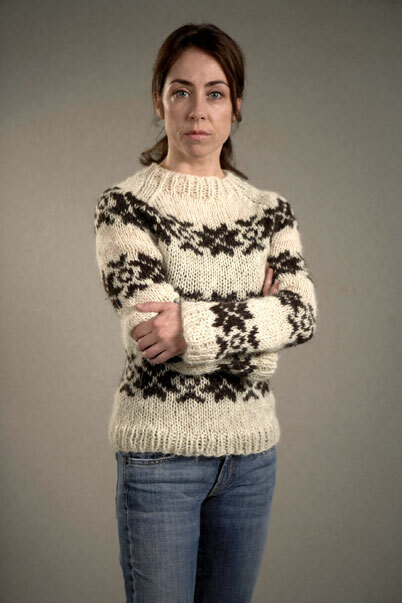 We now know whodunnit, while Sofie Grabol, who plays unflappable leading investigator Sarah Lund, has also explained the mysterious appeal of her rather homely woolly jumper – an unlikely fashion trend. “Everybody wanted that sweater," she told The Observer. "The company in the Faroe Islands couldn't keep up. We had a costume meeting and I saw that sweater and thought: 'That's it!” The reason it's so perfect is because it tells so many stories. It tells of a person who doesn't use her sexuality – that's a big point. Lund's so sure of herself she doesn't have to wear a suit. She's at peace with herself." Just the thing to stay warm while running through that bleak, November landscape.